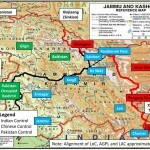 Home > News > Geopolitics > Wen to combine visit to Pakistan with visit to India? Pakistani agency journalists accompanying President Asif Ali Zardari on his present visit to Guangzhou in China to attend the inaugural function of the 16th Asian Games, have reported that during a bilateral meeting with Zardari on November 12, 2010, Chinese Prime Minister Wen Jiabao informed him that he intended visiting Pakistan in December to further “deepen the strategic cooperation” between the two countries and proposed the establishment of a mechanism for formal and structured dialogue to ensure smooth and real time communication on all issues of common interest. Zardari has been accompanied to Guangzhou, among others, by Syed Mehdi Shah, the Chief Minister of Gilgit-Baltistan (GB), to be present during the discussions with Chinese leaders and officials on Chinese assistance to GB. Wen has been quoted as telling Zardari: “We are looking forward to establishing contacts between the political leaderships of the two countries.” This possibly refers to the establishment of a hot line between the leaderships of the two countries similar to the hotline being established between the Prime Ministers of India and China. It may be recalled that Wen had informed Prime Minister Manmohan Singh in the margin of the recent ASEAN-sponsored East Asia summit at Hanoi that he intended visiting India in December. His visits to India and Pakistan may be combined. It remains to be seen whether he also decides to visit Bangladesh during the same swing across South Asia. His decision to visit Pakistan too would negate the belief in India after the Hanoi meeting that his decision to visit to India indicated a Chinese desire to mend relations with India. Significantly, Zardari has been accompanied to Guangzhou, among others, by Syed Mehdi Shah, the Chief Minister of Gilgit-Baltistan (GB), to be present during the discussions with Chinese leaders and officials on Chinese assistance to GB. Wen reportedly announced the beginning of the second instalment of free commodity aid to the people of GB from next week. The consignment of aid would consist of diesel, coal and food articles, which will be supplied free by China as part of its aid to the flood victims in GB. It was stated that China has already donated US $ 250 million for flood relief and reconstruction besides assistance to stranded people in the upper Hunza Attabad Lake region of GB. “¦ Zardari told Wen that mega-projects like Gwadar, the Karakoram Highway, and the Neelum-Jhelum Hydro-electric Plant were shining symbols of their friendship. Among others who have accompanied Zardari are Bilawal Bhutto Zardari, his son, who is the President of the Pakistan People’s Party, Malik Amad Khan, Minister of State for Foreign Affairs, and Spokesperson Farhatullah Babar. Both the leaders expressed their firm resolve to further strengthen their bilateral ties in economic, defence and energy sectors. Zardari noted that the two-way trade between the two countries had risen to around seven billion dollars, up from the $ two billion in 2002. Zardari told Wen that mega-projects like Gwadar, the Karakoram Highway, and the Neelum-Jhelum Hydro-electric Plant were shining symbols of their friendship. Zardari called for a currency swap agreement with China. He told Wen that the 14th session of the Joint Economic Commission early next month in Islamabad would enable them to review the entire range of bilateral economic relations for closer economic cooperation. “¦ “We would welcome trans-regional cooperation involving economic project cooperation between China, Pakistan and Afghanistan. 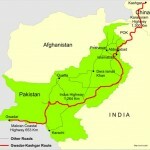 Chinese companies can use Pakistan as a logistical and transportation base for their investment in Afghanistan”. Zardari also stressed the need for enhancing connectivity by working together closely on developing pipelines, rail links and fibre optic links. He urged Chinese investment in water and energy projects in GB and the Thar coal project in Sindh and called for the setting up of a China-Pakistan Energy Corporation to institutionalize cooperation in the energy sector. Zardari sought the cooperation and assistance of China in the reconstruction of the infrastructure destroyed and damaged in the recent floods in Pakistan. He said Pakistan was doing its best to help Afghanistan achieve peace and stability and suggested closer consultations between Pakistan and China on Afghanistan. Zardari said Afghanistan-China-Pakistan can promote trilateral cooperation. “We would welcome trans-regional cooperation involving economic project cooperation between China, Pakistan and Afghanistan. Chinese companies can use Pakistan as a logistical and transportation base for their investment in Afghanistan,” he added. The Chairman of the Guangdong Automobile Industrial Group (GAIG) Zhang Fangyou called on Zardari, who reportedly directed the Chairman of the Pakistani Board of Investment Saleem Mandviwala, who had accompanied him, to stay back and discuss with Zhang the prospects of GAIG’s operations in Pakistan. Zardari also had a bilateral meeting at Guangzhou with the Thai Prime Minister Abhisit Vejjajiva. Zardari reportedly thanked Thailand for supporting Pakistan’s efforts to have a full dialogue partnership with the ASEAN and called for the early conclusion of a Free Trade Agreement between the two countries. The total value of the bilateral trade between the two countries amounts to US $ 800 million.